In my first article on ‘how to stop smoking tips 1’, I discussed three of the essential background stop smoking issues that focus your mind on the big day. Firstly, recognise that the nicotine cycle is just cravings fooling your mind. Over time, as the addiction takes over, you will make up any justification to keep the addiction going. Secondly, by appreciating how anxiety and stress are connected with smoking, you can find new ways to cope with your anxious and stressful issues. Without this, you will feel like an “ex-smoker” who is still vulnerable to smoking again. Thirdly, recognise how breathing (inhaling) is part of your smoking habit. Relaxed breathing is a way of controlling anxiety and stress. When you see these connections for what they are, life without a cigarette becomes a realistic achievement. In my hypnotherapy consultations, I aim to identify other important issues that individualise your smoking habit and match them with an appropriate stop smoking hypnotherapy treatment. Converting to being a non-smoker requires an understanding of your personal smoking triggers and then rehearsing alternative ways to cope without a cigarette. This way you can be ready for your stop smoking transformation. Identifying the reason for your smoking lapses can help you to establish your vulnerability when you want to stop smoking again. Stopping smoking is one achievement; staying stopped is the ultimate goal. When you know why you have re-started smoking, you can prepare different coping strategies that take you through past failings. This is particularly significant if you have stopped smoking for more than 3 days. After 3 days, research has shown that the majority of the nicotine has left your body. After 7 days, cotinine (the main nicotine metabolite) is absent from the blood. Physiologically, you have done the necessary work; you are an “ex-smoker.” What draws you back into smoking cigarettes after this period of stopping is what you psychologically and emotionally associate with your smoking habit. If you lapsed in a social situation, then it can explain that you are socially anxious, you give-in to peer-pressure or seek acceptance through social rewards. Armed with this knowledge, you can then prepare for a different way of coping in social situations. Ironically, the first lapse is usually an issue of over-confidence. You have stopped for a few weeks and haven’t fully understood the nature of your psychological smoking habit. You believe that you can stop-and-start whenever you feel like it. You then find yourself in a situation where you feel that something is missing. You think that “just one” cigarette won’t matter. You may not even enjoy restarting, but the one cigarette is enough to draw you back into your addiction as a smoker. For the rest of the day and the following days, you succumb to the power of the nicotine cravings. You have now learned how addictive nicotine can be and that you are not in as much control as you once thought. Stress can be a reason for re-starting smoking. As discussed in the “how to stop smoking tips 1”, if you underestimated the impact of stress, it may have drawn you back into smoking when going through a crisis. Psychologically, at higher a level of stress, your mind goes back to what it knows. If you have previously convinced yourself that smoking cigarettes helps you to cope with stress, the smoking trigger will overcome you. So you start smoking to get you through the stress, but after the stress has eased, the nicotine addiction will have you hooked again. Another reason for re-starting smoking is because when you have stopped, you put on weight. There is evidence that nicotine can act as an appetite suppressant but taking this issue into account, there are ways to ensure that the weight gain is temporary. Where smoking has been used to comfort your stress, food will tend to be the next accessible crutch. “Skinny smokers” who have become non-smokers, have included exercise and healthier eating in their transformation. When this issue is identified in a course of stop smoking hypnotherapy, weight loss suggestions are used to ensure a smoother transition through these health changes. Other reasons for re-starting smoking are varied and personal. Some stop smoking hypnotherapy patients are unsure why they have restarted smoking. When the reason is unconscious, hypnotherapy can be a useful tool to uncover and treat past negative learning. When your mind can connect with “why” you have done something, you can develop the necessary tools needed to fix the situation. If you have smoked continuously for years, then this issue of “re-starting” won’t directly apply to you. But your smoking habit will have integrated a number of other issues. By identifying situations when you have smoked more cigarettes, you can establish when you will be hit by the physiological and psychological cravings (see stop smoking tips #2, below). If you’ve never stopped smoking for more than 3 days then you are dependent on identifying your smoking triggers “inside” the nicotine addiction. Those with a heavier addiction may not be aware of those differences because there’s very little time when you are not smoking. Those with moderate addictions are likely to recognise these subtleties. Maybe it’s stress, anxiety or boredom. Once you have identified the link with your increased dependency on cigarettes, you can find alternative ways of coping once you have stopped. The reason that you first started smoking may have been several years ago, but don’t dismiss it as being irrelevant. Teenage traits can still direct adult behaviour. Many of you may have succumbed to peer-pressure back then. Do you find that you still smoke more cigarettes socially? If so then, social reinforcement is still part of your adult life. When you are stuck in a negative habit and are struggling to change it, hypnotherapy can be an effective technique to uncover the cause of the habit. Hypnotherapy can then be used to release the emotion behind the habit. For example, some of you may have started smoking to defy controlling parents. As an adult, the defiance is no longer required but is still blocking your progress. Taking a “U-turn” with your belief system can be difficult on your own. Many adult patients recognise that the reason for continuing smoking is pointless. But transforming defiance into something positive would mean changing a deeper part of your belief system. Regression hypnotherapy is used in this situation to help change emotional blocks. This issue is something that smokers have had to deal with more since the ban on smoking in public places. When the ban was first announced, there was a moderate rebellion followed by general compliance. It may have hardened the defiant smokers attitudes to smoke “by right” when they ‘can’ smoke. For others, it was a breath of fresh air; (pun intended!) you just went outside! What is so helpful for the aspiring non-smoker is to consider if they “miss” smoking when they are not allowed to smoke. Many of my stop smoking hypnotherapy patients say that they just accept the situation and focus on other things. They don’t feel deprived. They flick the “internal smoking switch” off when entering their workplace, but switch “it” on again the moment they have left work. Can you see this positive “mind-mechanism” as a decision of choice? If you can, then it’s a choice that is transferable into other situations where you “can” smoke but chose not to smoke. In this article, these 3 stop smoking tips consider the fluctuations in your smoking behaviour. 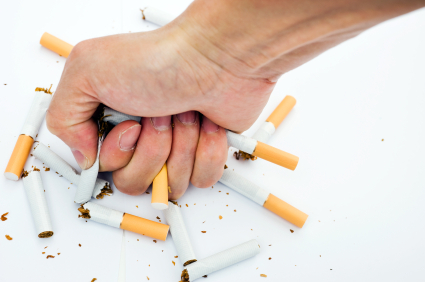 It considers the beliefs and emotions when you first started smoking, re-started smoking after temporary stops and increases and decreases in the number of cigarettes smoked in certain situations.When you have an understanding of these issues, you can prepare your stop smoking programme to match these changes in your smoking habit. Hypnotherapy helps to create a state of deep relaxation. In this state, your mind is more receptive to the suggestions used by the hypnotherapist to stop smoking. 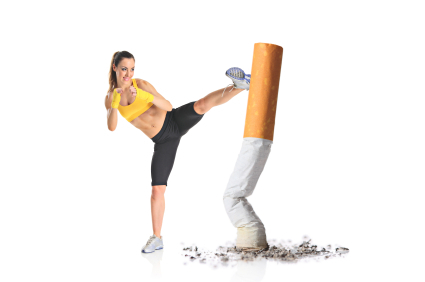 In my stop smoking hypnotherapy courses, the techniques are personalised to treat your stop smoking blocks quickly to help convert you from a smoker to a non-smoker.